When my child was only five weeks old we opened a registered education savings account for her. Neither my husband or I had any financial help for our education from our parents and ended up taking on significant debt to pay for it. While our intentions are not to pay for everything she may need for post secondary education we will be saving and contributing to it somewhat. What we save is what she will have at her disposal, we won’t be compromising our own financial goals to pay for her education but that doesn’t mean we won’t still be able to contribute a decent chunk of money towards her savings. It just means we have to get creative. 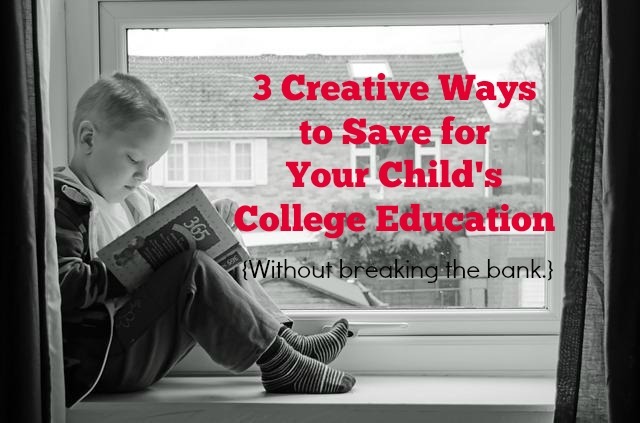 Here are three ways we’re saving for our daughters college education. Given that she is the first child born into the family in quite some time, she is well taken care of. People love to buy her little gifts and shower her with affection. There is very little she actually needs as so we have made it very clear that especially while she is still so young and doesn’t know, that rather than people giving her unnecessary toys or gifts, that they contribute to her post secondary fund instead. We would rather the $10-$20 invested and gaining compound interest for the next 16-18 years than a toy she will play with for a few days before it gets lost in the shuffle. While some people aren’t comfortable with giving money (and that’s fine) most people are more than happy to not worry about what to get her and hand us a little cash to deposit on her behalf. This saves mom and dad on toy space and helps contribute to one of the best gifts she’ll ever receive, a good education. Some things we’re holding onto for potential future children but other stuff we plan on selling. We just don’t have the room to store every item of clothing or every toy that enters our house. Given that these things were purchased for her, the money made from the sale should be reinvested into her. In our case we will be putting monies gained from selling her stuff into her education fund. While she’s so young we obviously manage her money now but in the not so distant future she will be managing her own. Birthday gifts, babysitting money and part-time jobs will give her a cashflow she will need to manage herself (with our guidance obviously). 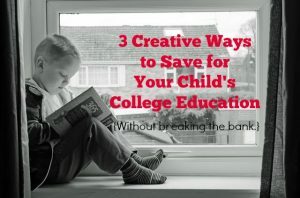 Once she starts being responsible for her own money it will be important that she starts saving for things she wants, especially her education. We will teach her the importance of helping save towards her own goals, even if they seem impossibly far away. While she’s a kid living under our roof there will be very little that she will need so it will be expected that most of her money go into savings. I’m confident she will thank us on her graduation day! Though not every kid pursues post secondary education it is money that needs to be in place in case they do because it can be a very costly venture if there are no funds in place, trust me, I know.